What will you, as a marketer, do differently that will attract the attention of your target market on your next direct mail campaign? Will your copy include an obvious call to action to provoke an immediate response from the consumer? What about the mailer itself; are the visuals appealing enough to jump out at consumers and demand it be opened? And just how many pieces are you sending out? Is it enough to generate the return your need? The last question often comes down to a company’s budget; the more funds they have access to, the more mailers they can mail out. But what about taking a different approach? What if you increased how much money you spend on each package but send out fewer packages/mailers? A low-volume direct mail campaign can provide promising results. With a low-volume direct mail campaign, a company will send out fewer mailers, but can allocate that extra money toward creative packages—therefore increasing the chances of the mailer being opened. For example, instead of using standard envelopes, why not try using decorative 3D mailers? This strategy involves focusing the mailers to a select group. This segment of your list should typically be made up of influencers who can spread the message of your campaign to others in their networks. Now remember that only select members from the Sybase mailing lists were selected, yet they were able to get a tremendous response and fill up all available seating for the breakfast sessions. A formal invitation with instructions on how to arrive at the destination was also included and the reception was a success. These are two examples of how low-volume direct mail campaigns can yield powerful results. It will require more upfront costs to buff up your mailers, but if you can narrow down your targets to a select group of influencers, then the extra spend certainly becomes worth it. Macromark has facilitated all kinds of direct mail campaigns in our 25 plus years of being in the industry. 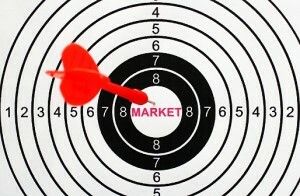 Knowing as much information as possible about your target market is the key to that campaign being successful. The more you know about your target market, the better you can plan your campaigns and the better you can predict the results. Contact us today for more information on what we can do to help you better reach your target audience.